Is Nashville new tonight on CMT? After spending the past couple of months with these characters, it’s fair to want more. Nashville series finale: Did Connie Britton return for farewell? Tonight, the Nashville series finale brought a lot of emotional stuff to the table, but could you really expect anything else? Nashville season 7: Could it ever happen, and should it? Following tonight’s series finale, is there still a chance at a Nashville season 7 coming at some point down the line? The Nashville series finale is right around the corner, and as we gear up for that, why not check out a few last previews of just what you can expect? Moving into the Nashville series finale on CMT this week, it’s clear what one of the biggest stories related to Deacon is. 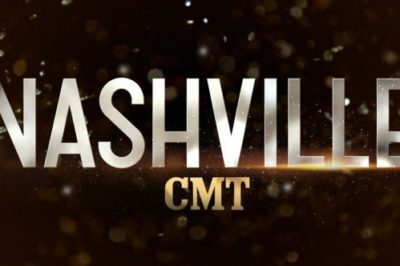 Entering Nashville series finale, how is the CMT show performing? Nashville series finale promo: Is Connie Britton returning as Rayna? Is Connie Britton returning as Rayna on the Nashville series finale on CMT next week? Based on the promo that aired tonight, you gotta wonder. Want to get some other news when it comes to Nashville season 6 episode 16, an installment entitled “Curtain Call”? What’s coming up on Nashville season 6 episode 15? This is the penultimate episode of the series, and it’s clear there is a lot to be resolved. Nashville season 6 episode 16 marks the series finale for the CMT drama, and we already have a little bit of insight about it now.